We’d like you to know about the latest features available in GDPR365, this time the notifications feature, which enables you to choose what aspect of compliance management to be informed about and how often. There are many notifications available to alert you to matters such as a subject access request deadline, an outstanding compliance assignment or a reminder to review your privacy notice. When a notification triggers, you’ll receive an email taking you to your notifications dashboard, where you can view the alert and take the necessary action. Hello and welcome to GDPR365. Today I’m going to go through our notifications feature. 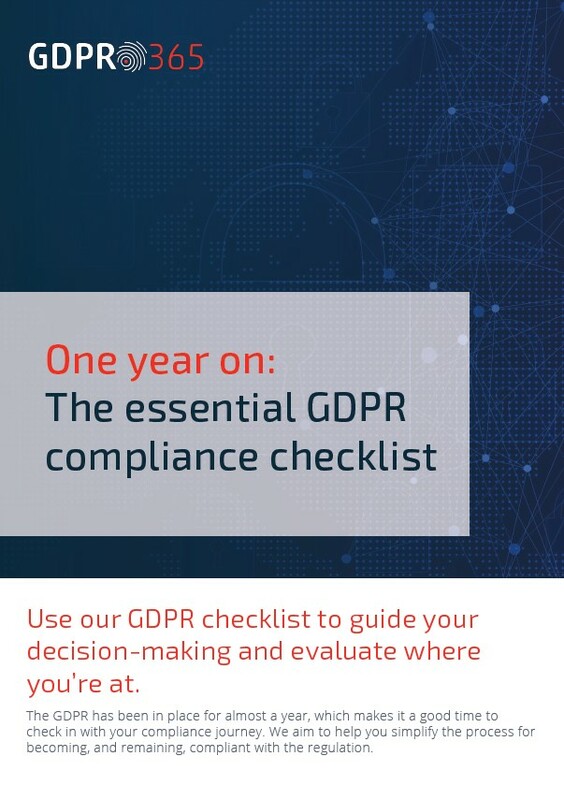 This is critical for informing you of the actions you need to take around GDPR compliance management. If I click into that,] you’ll see that there are certain notifications and [we have] preferences. This is where you set up the areas about which you wish to be informed. We’ll send you an email and you then can action it. There are a number of notifications that can be set. You simply click them on or off. Detailed ones are, for example, subject access request deadline, or review employee communications. There’s a load of these notifications. You set them up and when they trigger, you’ll get a notification in an email. You’ll click through, and it’ll come through to this notifications dashboard. You can then open them up and read them, and action them as necessary. In certain cases, for example a subject access request, there’ll be a hyperlink and that’ll take you directly through to the subject access request, which you can then process. So that’s it: simple, easy and very useful. Please be aware that, in order for some notifications to work properly, you will need to insert a contract end date under ‘Processors’ and an agreement end date under ‘Data Sharing’.